Pattern. 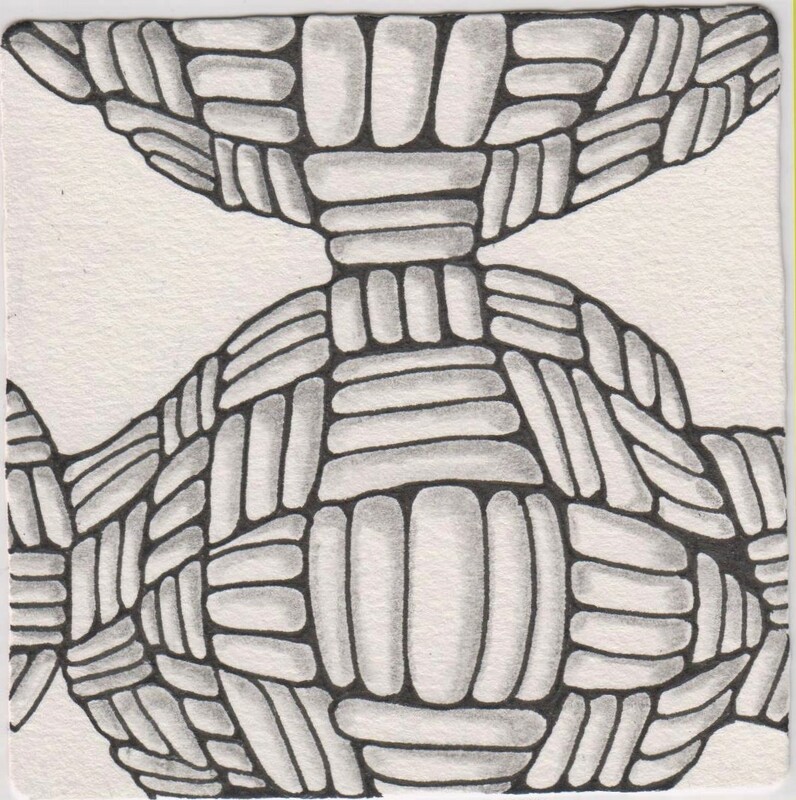 If you know only one thing about Zentangle, you know that it's all about pattern! pat·ternˈpadərn/noun1. 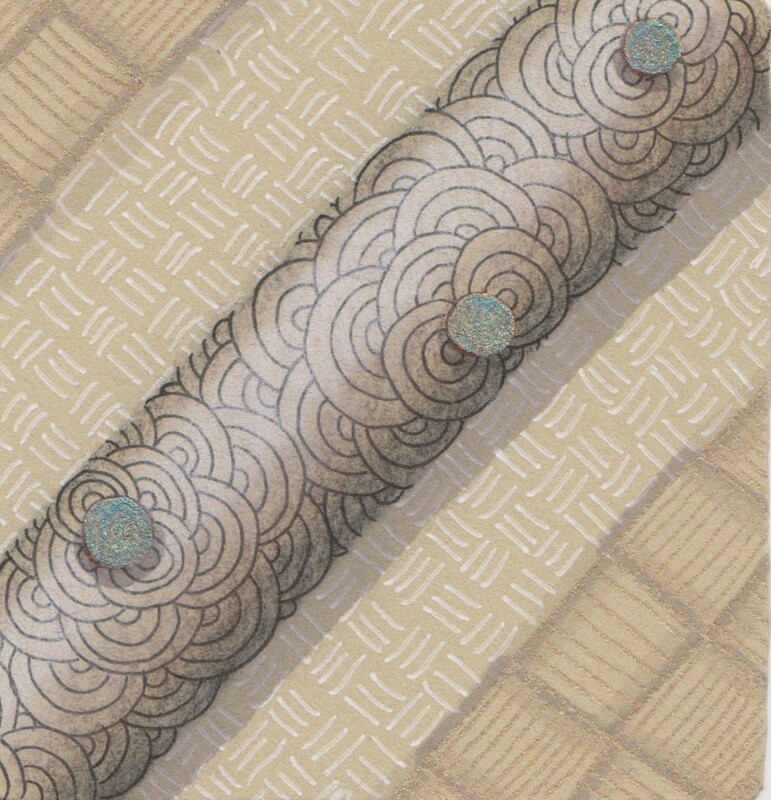 a repeated decorative design. 2. the repetition of specific visual elements such as a unit of shape or form. Some of the simplest visual elements you can repeat to create pattern are dots, lines, curves and circles. Keeko taps into this fundamental aspect of pattern design with an elegant simplicity. This simple building block can be a source of meditative repetition or inspire a curious "what if...?" For some reason, I have never really embraced the Zentangle pattern Crescent Moon, another fundamentally basic pattern. I didn't find it very pleasing to draw and frankly I've avoided it. When this week's String Adventure called for Seawave (which I feel in love with instantly) combined with Crescent Moon (my nemesis! ), I knew I had to find some inspiration. On Pinterest I found a be-fescue'd version that I find absolutely delightful. I have to give credit to Mary Bartrop (CZT13) for making me a Crescent Moon convert! Shout-out to Lily Moon and Helen Williams for their inspiring versions as well. I've pinned a few to my Patterns and Tangles board if you want to check them out. Once I've found some inspiration, here's one way that I use my sketch book to record inspiration and to help me generate ideas. And here's the tile I created after finding a way to love Crescent Moon after all and marry it with that deliciously textured and organic pattern Seawave. The Zentangle Method naturally incorporates many of the classic principles of design while still allowing for a relaxed and improvisational experience. I like to use my sketchbook to try out new ideas and consider questions of contrast, balance, and rhythm in the context of these patterns we call Tangles. Then when I sit down with my pen and a tile, I take a deep breath and allow those explorations to blossom into a complete thought. What about you? 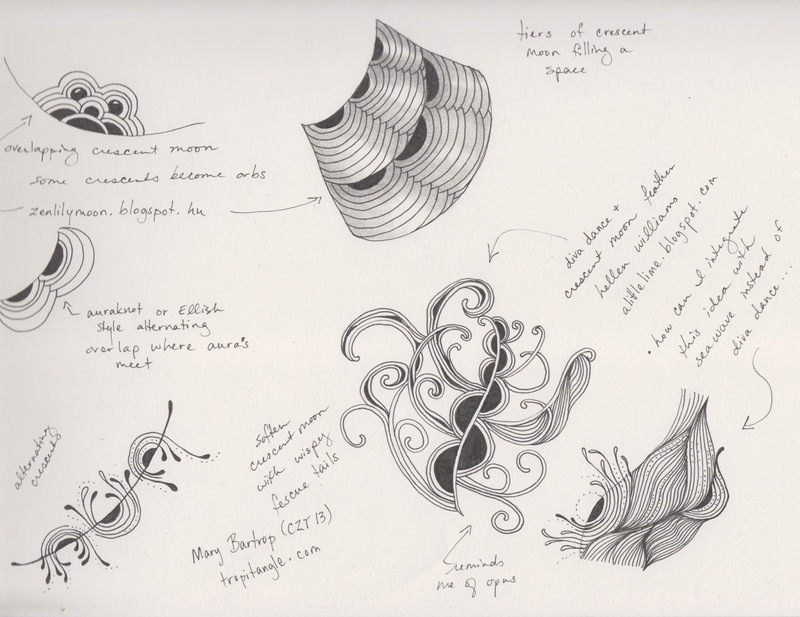 Which principles of design come naturally to you when you tangle? Wow, these are beautiful! I especially love the Seawave! I love your Keekotile, you have created there so much depth and these soft colors are beautiful. Very kind of you to mention where you have found your inspiration. So nice in the "Zentangleworld" that a lot of knowledge is shared and available for everyone". I like your IAST tile as well. Seawave is a lovely pattern. Sometimes I don't like a pattern at first sight, but after exercising it can become a favorite, that was the case with Tripoli. What a fantastic post. So inspiring. I love what you've done with Keeko - so different and so calming. And your Crescent Moon explorations are fascinating - and make me want to try some of my own variations. Beautifully presented too! 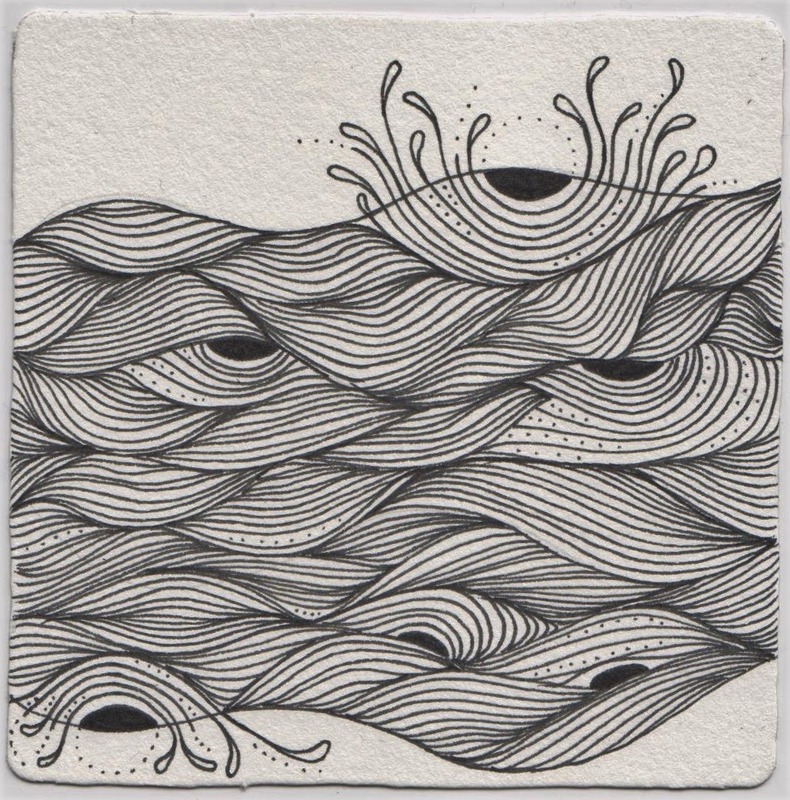 I would love to see more of your sketchbook explorations Ragged Ray. I think seeing some of yours that you have posted has inspired me to post mine. :D Thank you for your kind encouragement! Fabulous Keeko Tiles! I absolutely love the 3D with rounded ends. I might try it that way soon. I too have perceived problems with Crescent Moon... it never looks as good as Margaret Bremners! Thank you for your insight and showing us you process! 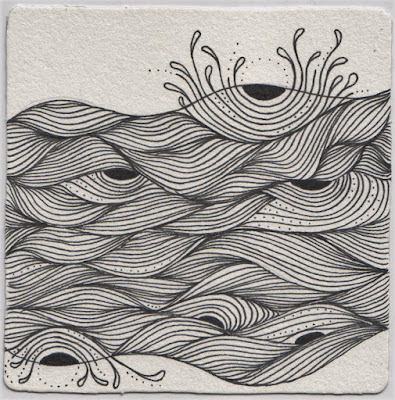 I must really take the time to explore tangles more in my sketch book. Thank you so much, Deanne, and thank you for stopping by to visit! Beautiful tile with Keeko and your tile for IAST is just gorgeous! Thank you for this inspring post! Your tiles and your post has got me thinking. Crescent Moon is such an old go-to Tangle. Your use of it breathes new life into it.